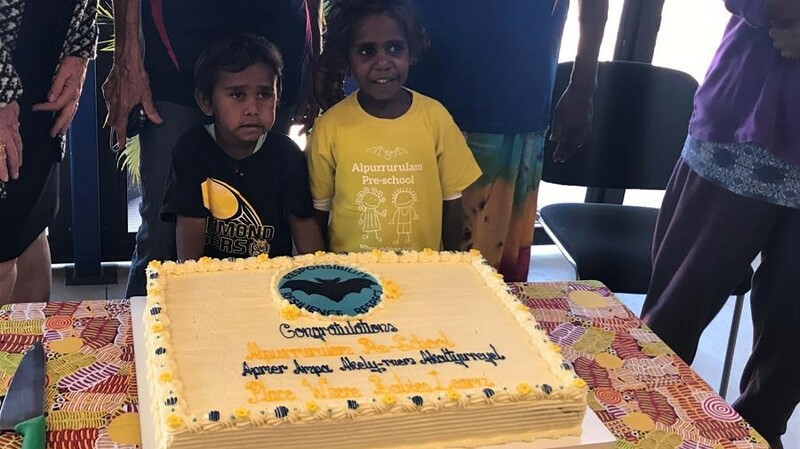 The opening of a spacious and modern new preschool in Alpurrurulam has given early childhood education in the Barkly region a significant boost. The preschool is located near the Alpurrurulam School, creating a clear pathway from the community’s Families as First Teachers (FaFT) program into school. The new purpose built, contemporary learning space was designed to be inviting and accommodating for children whilst also considering the needs of mothers, fathers, siblings and the extended family and local community. Principal of Alpurrurulam School Elizabeth Milne said the new preschool facility is a wonderful, bright and happy addition to the Alpurrurulam community and that the community was proud of the new facility. “Our students now have full and equal access to facilities and learning spaces,” she said. The facility’s open plan layout was designed to be inclusive and features investigative stations so children can explore, create, discuss and interact with their teachers, parents and peers. Preschool, FaFT and primary school teachers will also have the opportunity to share resources and work collaboratively across the school and preschool to instil a love of learning in children at an early age and to enhance family involvement in their children’s learning.